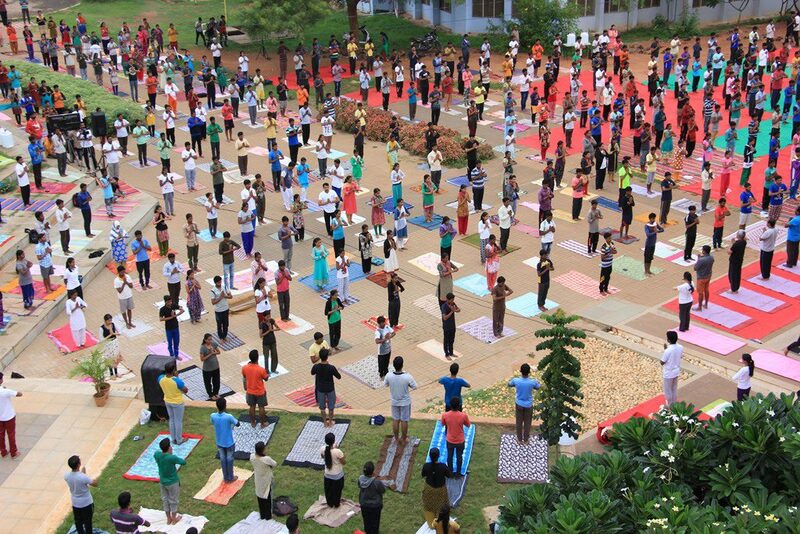 On the occasion of International Yoga Day on the 21st of June, over 2,000 youth and staff came together to celebrate this ancient Indian science of well-being at Deshpande Foundation’s Hubballi Sandbox. The early morning Sun nearly smiled with pride as the sea of practitioners performed the Surya Namaskar. The event included a showcase of highly-advanced yogasanas by experts, inspiring beginners to stretch their minds and bodies beyond apparent limits. Dignitaries included Member of Parliament, Shri Prahlad Joshi, Naveen Jha, CEO, Deshpande Foundation India and Vivek Pawar, CEO, Sankalp Semiconductors among others. 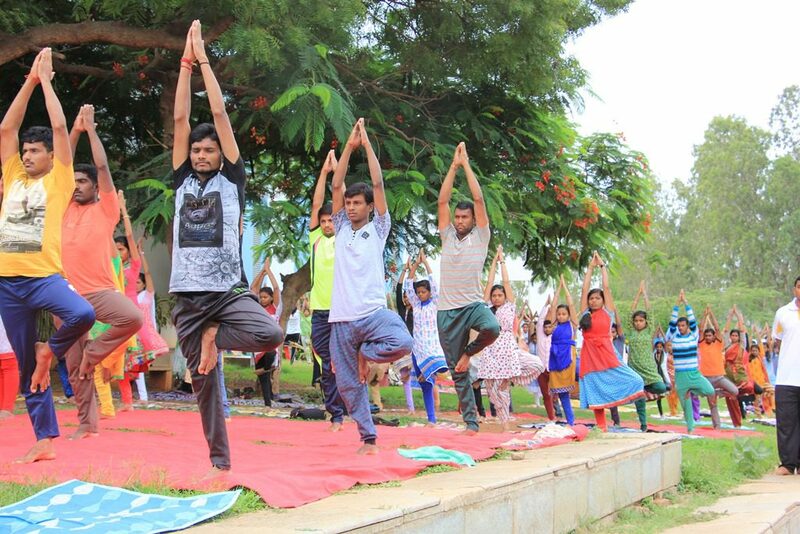 International Yoga Day was also celebrated with enthusiasm by youth and staff at the Foundation’s Kakatiya and Nalgonda Sandboxes in Telangana, taking forward the holistic approach to human resource development. Yoga has been an integral part of the Deshpande Foundation and Deshpande Educational Trust’s initiatives to create the next generation of change-makers in rural areas and district towns. Every youth who enrolls into the DET’s residential skill development program is put through a regular yoga routine which creates healthy minds in healthy bodies. Their routine starts off with the simple asanas like vrukshasana, vakrasana, ardha chakrasana, trikonasana, maschendrasana and Surya Namaskar, among others. 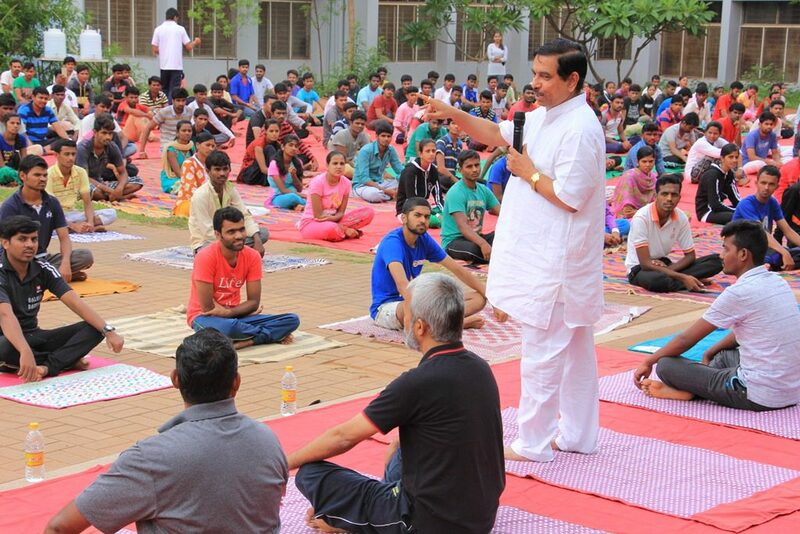 Youth are also taught different types of Pranayamas, meditation, relaxation and stress management techniques to help them absorb all the skills they are taught during the rest of the day. Over the next 4-5 months they are able to perform advanced asanas such as natarajasana, kukutasana, padmalolasana, shirshasana, chakrasana and pada-uttanasana. The Yoga routine also enlightens youth about the 5 koshas (layers) of the human body – physical, vital, mental, knowledge and bliss layers. This enables partial to complete transformation of their mindset and inspires them to become Karmayogis, who are entrepreneurial problem-solvers. Yoga classes are also held for staff to boost their productivity while promoting a healthier lifestyle. Thus Yoga is a defining feature of the DET skill development program, which not only equips rural and semi-urban youth with industry-specific skills but also prepares their mind to successfully overcome professional and personal challenges. DET’s comprehensive holistic training creates truly skilled human resources with positive personalities, facilitating accelerated career progression.